Home/Gallery/NEW CALEDONIA – WHERE NATURE AND ADVENTURE COLLIDE. NEW CALEDONIA – WHERE NATURE AND ADVENTURE COLLIDE. New Caledonia is known as the Pacific heart, and integral to that beating centre is its reputation as a bucket list destination, drawing adventure seekers the world over. With rich turquoise waters, rugged mountain ranges, untamed natural terrain and abundant coral reefs, this tropical French outpost is a magnet for countless adventures. 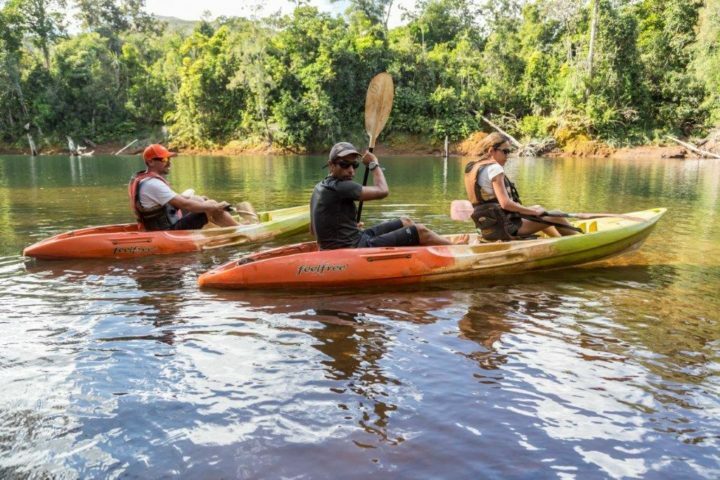 So let’s go full body immersion into an overview of New Caledonia’s outdoor activities; for lagoon lovers and land-lubbers, we’ll give you plenty of reasons to get off the lounger, get your feet wet and launch your excitement into overdrive. At 24,000-sq.-km, New Caledonia’s marine-life-rich lagoon is among the world’s largest. A massive barrier reef surrounds the main island, Grand Terre, making it a magnet for water-sports enthusiasts. Pristine waters and stunning islets make this a sailor’s paradise and the climate ensures phenomenal sailing and incredible sights all year round. Mid-year, you may be privileged to see whales which choose this area’s warm waters to give birth. Most one-day sail excursions depart from Nouméa; however, there are friendly locals operating tours out of the island’s coastal villages too, offering additional activities such as kitesurfing and diving. Boat rental companies are plentiful; with the option of hiring a skipper or doing it on your own, you can embark on a guided nautical adventure or sail your own itinerary. With over 150 high-quality anchorage sites across the islands, you’re in for an amazing sailing experience. Sea-dogs in the know will tell you the Isle of Pines is a definite highlight. Departing from Nouméa, it will take you about 3 days to reach it – one of the most spectacular sights in the Pacific, it’s an exotic landscape of raw beauty. The Isle of Pines (or Ile des Pins) is the perfect place to indulge in snorkeling in the heavenly clear waters of Oro natural swimming pool, separated from the ocean by a coral reef. Or explore the bays surrounding the Isle of Pines, by cruising in a traditional outrigger sailing boat. In New Caledonia you’ll be enthralled by the marine life in the world’s largest lagoon. 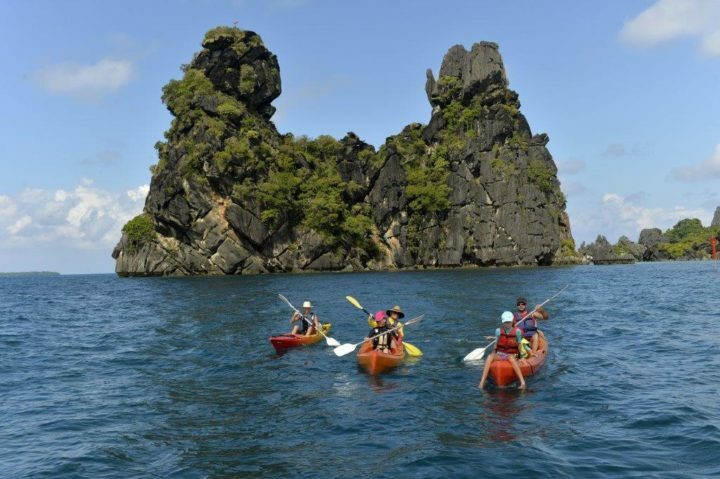 Amazing activities await, from snorkeling, to underwater trekking and deep diving. Popular snorkeling tours outside of Ile des Pins are in Amedee Lighthouse, Ile aux Canards, Sainte-Marie Bay in Nouméa and Poe Beach in Bourail. 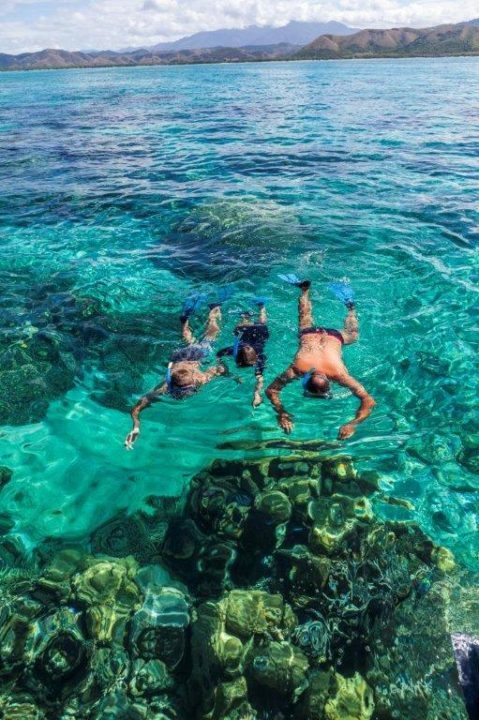 On snorkeling tours or dive excursions you’ll encounter unique wildlife such as turtles, manta rays, dugongs and spectacular coral formations. 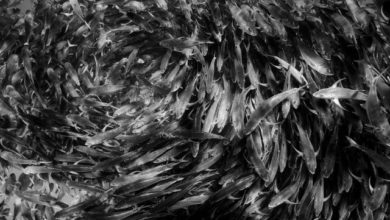 Many diving spots are located within marine reserves. If shipwrecks, deep caves and channels are your thing, all around Grande Terre, the Loyalty Islands and Ile des Pins, diving clubs will safely guide you through these underwater spectacles. 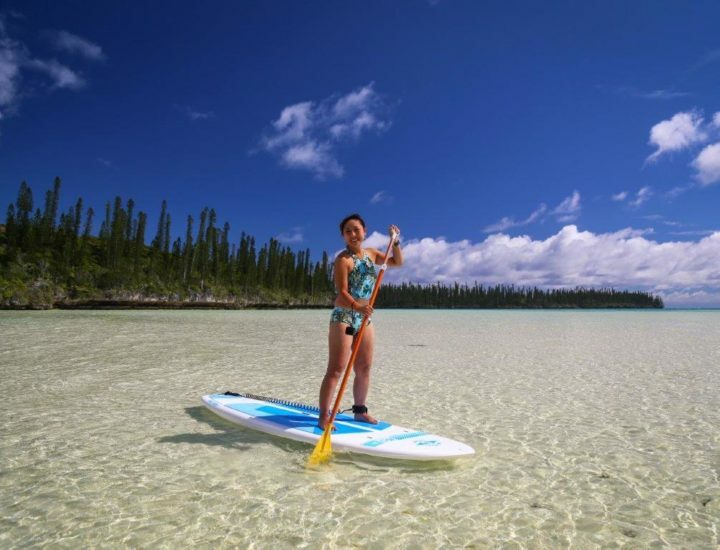 The phenomenal New Caledonian lagoon is also an incredible playground for flat-water activities. With around 120 days of wind per year, you’re set up with ideal perfect conditions for windsurfing, kitesurfing, surfing and standup paddleboarding. Whether you’re an expert in freestyle, kitefoiling, racing, wave riding, freeriding, or if you’re a total novice, New Caledonia is THE place to give them all a go. However, it’s windsurfing that reigns as the region’s most popular water sport. 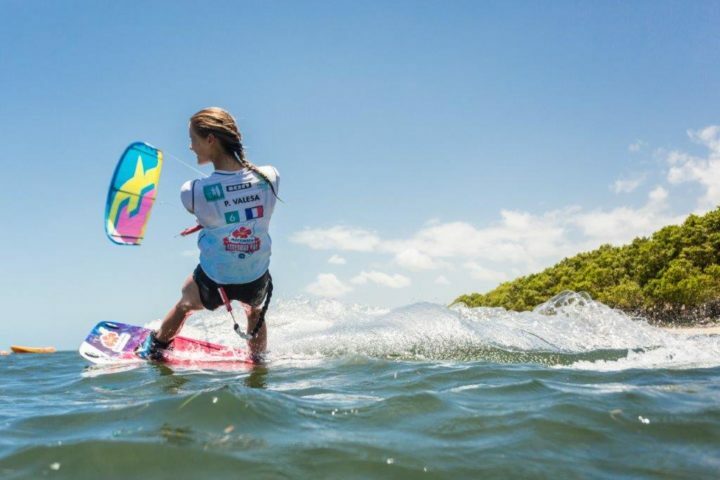 All over Grande Terre, water sports centers and schools offer windsurfing lessons, with Anse Vata in Nouméa the perfect spot to practice windsurfing safely. New Caledonia hosts many prestigious competitions throughout the year, including the final PWA world tour event. Naturally, New Caledonia also stacks up as a kayaker’s paradise. 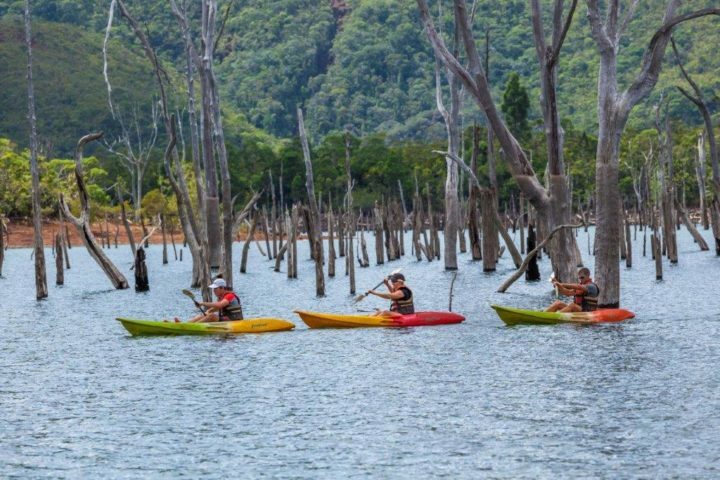 Take to the sea, take to the lakes of Nouméa’s bays or for something more challenging, take to the Forgotten Coast. Far from civilization and accessible only by sea, this is a 65 km adventure for courageous explorers. Over an average of three-five days, you’ll be accompanied by a guide with experience and local knowledge. Like a modern day Robinson Crusoe, you’ll see unspoiled corners of paradise that few people have had the privilege of visiting. Or, for a less strenuous adventure, embark on a solo or two-person kayak tour under the light of the full moon. Discover the drowned forest from a new angle in the heart of the Blue River Provincial Park or take a trip up the Nera river in Bourail. You may not think of New Caledonia as a surf destination. 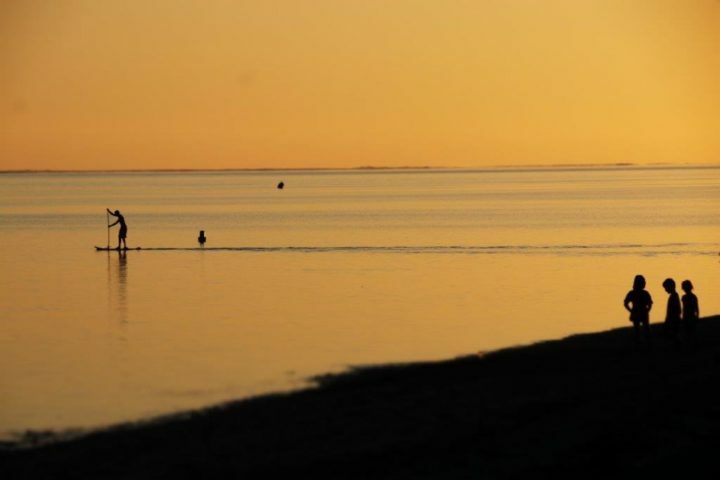 In fact, it’s one of the best thanks to its location, ensuring open water surfing is both breathtaking and exhilarating. Traditional surfing, shortboarding and longboarding are all enjoyed, but offshore is where the best surfing conditions can be found. Abundant reefs break the ocean’s surf, greatly diminishing the size and speed of waves within the lagoon, ensuring the best surf usually occurs around the reef’s drop-offs. This is where you might encounter waves up to 4.5 m tall with the right wind conditions, making for some unforgettable moments. Insider tip: one of the most reputed surf spots is at Bourail, where you can enjoy surf lessons at the Bourail Pass. If you’re not at one with the sea, New Caledonia serves up action-packed adventure for land-lubbers too. The unique environment is just as fantastic on foot, on a bike, or on horseback. 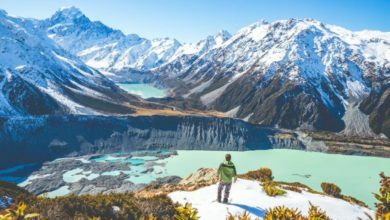 Treks and hikes are a great way to reach areas off the beaten track and appreciate nature with flora, fauna and scenery found nowhere else on earth. The Grande Randonnée or GR, is one of the great hiking routes, and crosses the mainland from north to south. 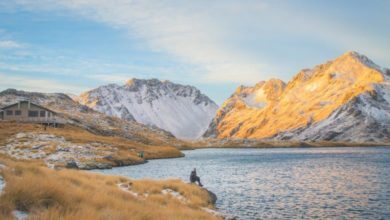 Not for the faint-hearted or weak of leg, it offers both breathtaking landscapes as well as walking conditions that suit athletic individuals. The Trans-Caledonian is another highly anticipated event during the hiking season, which alternates every year between the provinces of the North and the South, offering challenging obstacles for the best athletes. 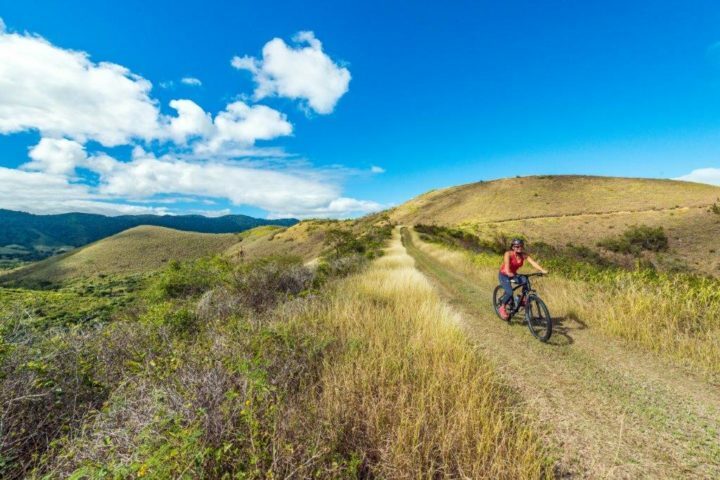 Mountain biking is New Caledonia’s booming sport – choose your track and ability level – there’s something for all biking skills. Trail biking in the city offers a genteel intro or hit the gnarly, hilly interior and enjoy a true physical challenge over the ever-present red earth. Green trails cater for more leisurely, family oriented rides; Intermediate bikers should look for the blue trails, and advanced riders may choose from the red or black trails. Did you know that in New Caledonia, there is one horse for every 20 inhabitants? Right across the archipelago, horses are integral to the landscape. A few hours’ ride between the mountain chain and the waterfront is one of the best ways to discover the true nature of the Caledonian bush. 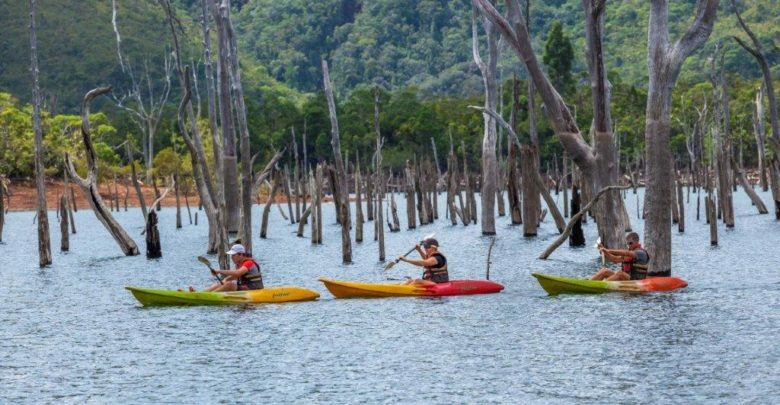 Climb to reach the most majestic viewpoints overlooking the plains and the mountains, or gallop at the water’s edge and explore the beautiful expanses of mangroves at low tide. Led by experienced guides, you’ll have an extraordinary opportunity to learn about the history of New Caledonia, hear about the past of local families and experience how the population lives. Canopy tours and adventure tree climbing may be one of the coolest land-based activities New Caledonia has on offer. This is the ultimate adventure; zipping through and over the forest canopy on this award winning escapade – it’s a wild ride you’ll long remember. New Caledonia promises an unforgettable stay in the South Pacific, with one-of-a-kind activities across land and sea, that will leave thrill-seekers long on experience and rich in memories.. 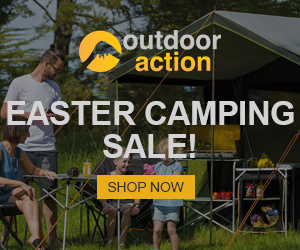 Outdoor activities of all kinds are a one-shop-plane-stop away. Grab your ticket to paradise with Air New Zealand or Air Calin. Both fly ex Auckland direct to Nouméa in about three hours, ready to deliver you to the Pacific heart of the action.